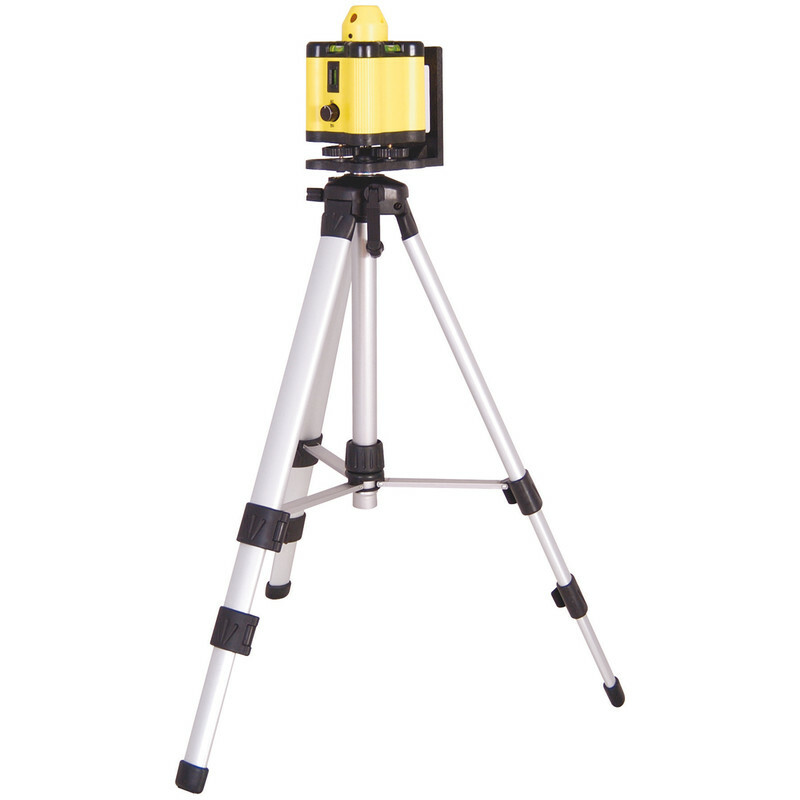 Laser head rotates 360° continuously providing a horizontal or vertical reference line. 3 vials for setting the level, and adjustable speed for different light conditions. Laser base can be wall or floor mounted in the horizontal or vertical position. Includes case, and 1.2m adjustable tripod. Range 10 metres depending on light conditions. Requires 4 x C 1.5V batteries 14434 .